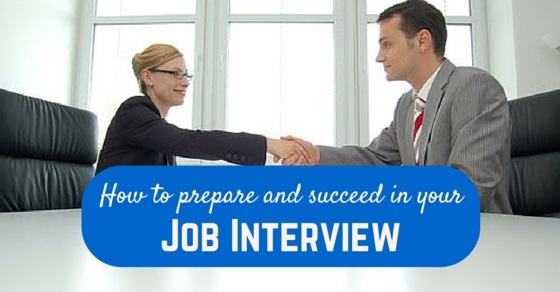 Preparing and getting fully geared up for the job interview is an important part of the interview. Of course, it is the basic platform for the candidate who gets the job in hand; if he/ she clear the first step. Firstly, preparing for the interview is the beginning and then, secondly, making it successful is more important than preparing. Since everyone prepares basic cross questioning for the interview but very few get clicked through it and gets offer letter in hand. Accordingly, interview needs to be prepared with extra vigilance, in terms of your major components of resume/ CV, likewise your education, professional career, extra-curricular activities and many more things. Always remember, your first impression will be the last impression. So, at all times, prepare well for giving interview in that company only whose business area and your role is matching with each other. Subsist completely apparent for yourself that the position and organization you are likely to submit an application actually fits well with your proficiency, career path, specialized and delicate aims, values and know-how. On the contrary do check, if all your skills and experiences are matching with the ethnicity and requirements of the said company. Every good interviewer will easily judge your obsessive attitude that whether you are interested to join the company and how keyed up you are about the vacant position. To be very well geared up for the interview is the half success. Still you need to do proper research on the company profile and do a well study on the principles, mission statement, headship values, company’s goals etc. Research on the company what it works for and what exactly they are into. These are the steps which really prove to be helpful in your first round where interviewer might be able to ask you about the company profile. Your pre- equipped knowledge about the company sheds a good impression about you. In today’s fastest growing world, it has become easier than before to gather info about the interviewer person. You just need to spend 30-40 minutes to Google and/or to check his LinkedIn profile etc. but you should be clearly knowing about interviewers designation, their functionality in the system and of all the people who will take your interview. If not, ask the HR manager that who is responsible for systematizing the interviews or who are chief persons (top-level management) that will be the final authority to finalize everything. It will never be a fine beginning, if a candidate arrives behind schedule at the interview venue only based on his/ her personal mistake (e.g. having taken the off beam bus or train, having not considered intense traffic jam at a firm time, not having found the right entry into the building, etc. or because of so many other reasons). It is always fine to reach the interview venue on or before time. And when you reach to the interview venue, you should be fully focused only on one thing i.e., your focus on the interview and related things. So, always start your day with focused and fresh mind so that such little mistakes could not happen in any case. What happens if you are tiring a short-sleeved shirt with no tie and an informal pair of trousers when going for a job interview? These are the basic things which every interviewer do notices. So you should always follow a proper interview outfit. These can never be neglected at any cost; either you are a newbie or an experienced professional. Beyond such apparent things like your appearance and outfits, you need to pay extra consideration on the vocabulary you are using. You must use only those words and terminology which is common for any established company, for its promotion, and business. Here are few of the important tips to get succeed in your job interview. This will surely help you to be able to reach to the point for which you are actually preparing your interview skills. Before entering into any job interview sphere, you have to make sure that you know your strong points and your remaining areas for further development. You definitely need to understand your own strengths and weakening areas in order to improve it and expand it to the greatest results. Your ability to prove yourself during interview or after being part of the system should be your greatest strength. Such strengths are the only way to add some value into the company’s progress, so as into your self growth too. Identify to match your individuality, your professional experience, etc to receive probable questions and areas of concern which could be asked by the interviewer at any point of time. The way you conduct yourself with the company’s mores, culture, their business and organizational principles, and with the necessities of the job they are recruiting for, could be an answer before anticipating yourself into the organization. Stay flexible during the interview and do not try to reply with pre-thought and pre-formulated answers to all questions. Your self-possession should demonstrate your self-interest, commitment, and sociable non-judgmental attitude at your job. Always consider this in mind that proving you in the interview and getting the offer letter in hand is another opportunity to gain knowledge of, and to grow within the area. While entering into the new field and organization, always stay optimistic, futuristic and refreshed all the times so that your negative reputation of sluggishness do not get conveyed. In this reverence, you should be clear on your goals, your aim towards future and utterance of clear proactive words. You need to show yourself proactively and do not try to even pretend that you have understood what the company is all about, your role, etc. If not got all the things at first go, do ask again to your boss or HR people about the business traits and the expectations from you. Always gear up to enter into a constructive discussion with your superiors, immediate boss and colleagues since everyone has different point of views. Never hesitate in asking about your role or about the expected work that will be assigned to you since asking them will only remove confusions and hence, leads you to complete your tasks in a better way. The last part of a good discussion typically starts with the candidate’s approaching factor of asking some well turned-out closing questions, from the interviewer. For e.g., candidate could ask various questions about the largely plan of the company, and/ or he may ask about what the interviewer has the expectations from him on the job. At the exceedingly closing stages of the interview you can ask about the later steps of the interview course of action. Firstly, there is no mischief in sending a short thank you mail to the interviewer, and if you send it across and/or at least to the chief interviewer stating that you would be gazing forward to receiving their opinion on the interview held between them. However, this has to be done, in a petite and professional way. Secondly, this is very significant to contact the HR person of the company to ask for an individual and thorough criticism of your interview if by any chance, you haven’t got the job. This is very supportive in order to get better for the subsequently coming interview. Preparation for the interview which everyone does, in order to reach to the final concluding round but actually reaching to that point is what called as succeeding in job interview. That could only happen if you have the determination, a positive loom, and seriousness in your attitude, decency in your profile and most importantly an open outlook approach for the job. Employers do notice all these things before interview, during the interview and of course while giving you offer letter in your hand. Prepare and explore the market very well and analyze if your qualifications, professional experience and related things are matching with that of the company traits wherein you have applied for.